As I (Mapster) have come to realise that most people that track mods like to know a bit of knowledge about the creator that is working on their eye candy, and that I would put a little update on here about myself for people to read about and learn more about my past. Bought a new screen to help with modding, see how the old one is going to good use? Ever since the game load-runner has been out (many many years ago), I have been interested in creating things for people to play with puzzles, tests, levels and new things for people to play. This of course was a very old school 2D game and was very fun at the time. Which of course was when Duke Nukem 3D came out with its build editor of which my whole family joined in on at the time building new levels of streets, piles of enemy's to kill, placing buttons everywhere that opened trap doors and moving platforms. Duke Nukem 3D soon became an even more popular as builds were released of which were able to hold 3D models. This drove the franchise crazy causing everyone that knew how to model or even wanted to mode, to start re-creating models of the original 2D images. Now i'm no expert modeller but I was able to create a simple fire alarm model with a half decent skin that still to this day is amongst the 'High Resolution Pack' that is up for download. 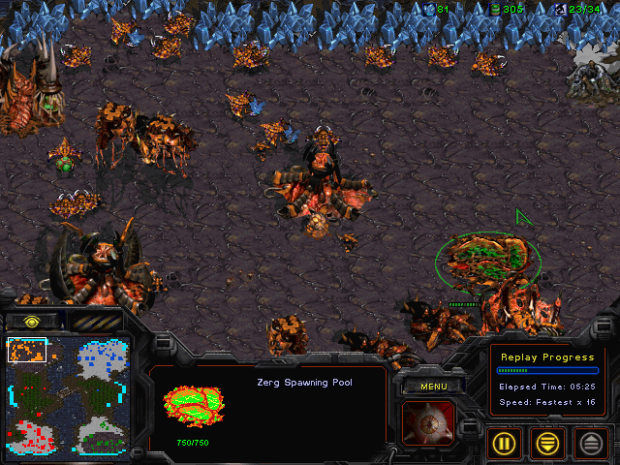 Soon after that, starcraft came out with its editor full of triggers and editable unit preferences to make a more different game to play. Which also gave the game more different game modes such as Galaxy Defenders that came with the game. 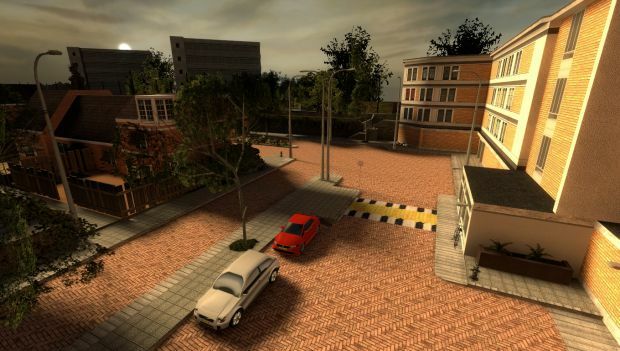 Although the picture above is from a map not consisting of any triggers, but the map was designed as a quick tactical map of which each player has to think of the quickest way to eliminate their opponent on the other side of their island. Not long after Star craft was a big hit, Warcraft 3 brought out its updated engine with a very easy to learn and advanced triggering system that allowed a whole new side of editing of the gaming side of almost everything you can imagine. This would probably be the first time I got interested in coding and the real side of game manipulation as with the wc3 editor you were able to make any game mode you like providing you had the correct information for it. 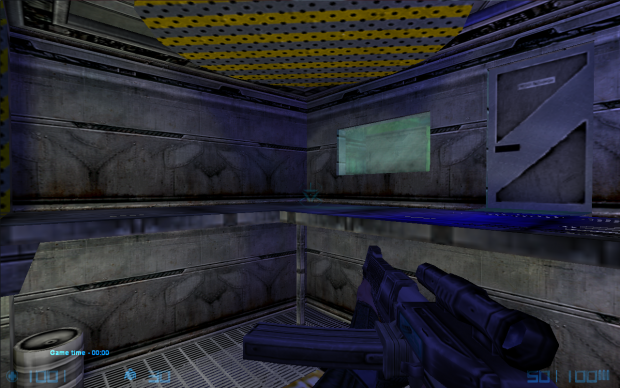 As far as games came along with move high advance graphics with Half-Life 1 and Unreal. These games brought out more of an original feeling to how games feel with multiple shades of lighting, highly spread out story lines, and new enemys for opponents to kill with blood and gore. This was what got me deeply stuck into mapping and over years of learning I soon came to study the world that I wanted to create with triggers, stairs, ladders, breakables and much much more. Half-Life was the only first spawn of a very long calibration of episodes, extended story lines and game types where one of the most popular of its time was Counter-Strike as it was one of the first FPS game games that required strategy with people from all over the world. 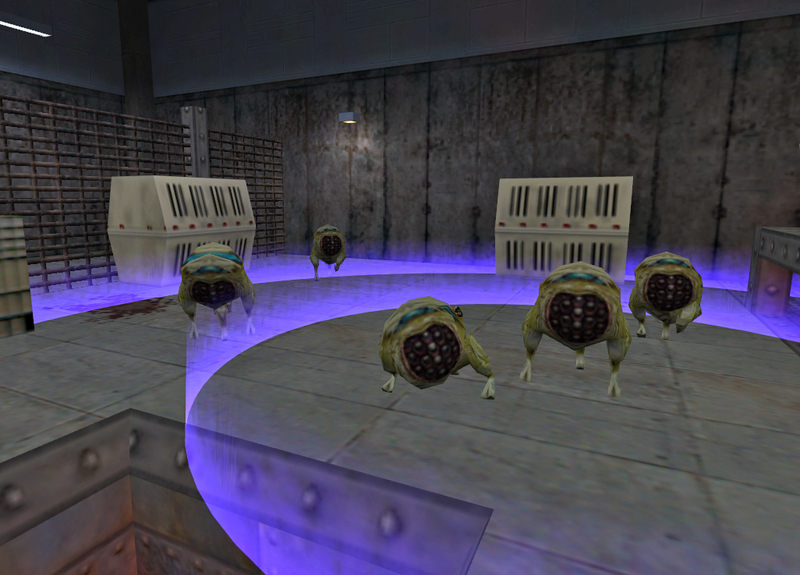 When the map editor came out for the half-life engine, custom maps became VERY popular even with their simplicity and soon the servers were flooded with them much like the map above. 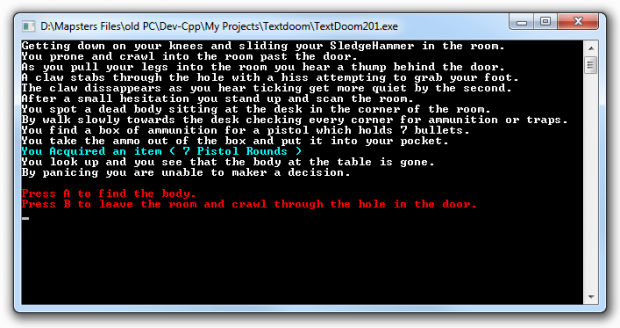 Half-Life 2 was released much before its episodes which was where I soon got into coding c++ on a miniture scale learning how to control the program with simple if/then/else structures into a game known as "Text Doom" that got many positive responses even though its simplicity structure of being a simple story reading game then following 2 actions. This got me highly interested in coding and soon lead me towards working on some private servers for games where I learned some basic java scripting where I made some fairly large scripts and good techniques that I was able to apply into c++ . As at this time i was apart of a small Natural Selection group that soon stretched to Half-life 2: Zombie Master as well, I started the group known as 'Wireframe'. This group grew to love a map I designed for Natural Selection using the plugin Marines Vs Marines called Floorbound. As a year or two past, Wireframes loyal members stayed together and played games non-stop which soon spread to Zombie Master where a public server was started up in honer of the members to upload their own creations for map testing and to enjoy the Australia pacific gaming. Wireframe also started up its own website and forum that slowly built up over time where we also started the mod that is now known as 'The Development Project' that grew with many many ideas that we all learned from each other when it came to Level Design. It was all too good as the domain for website was closed and I was unable to start it back up as the ownership of the domain belonged to someone else and that person was unable to be contacted for months causing the team to split. Even though the team of Wireframe was no longer together, the project TDP was still under construction as my own learning experience to get me learning more and more aspects of the game developed over time. 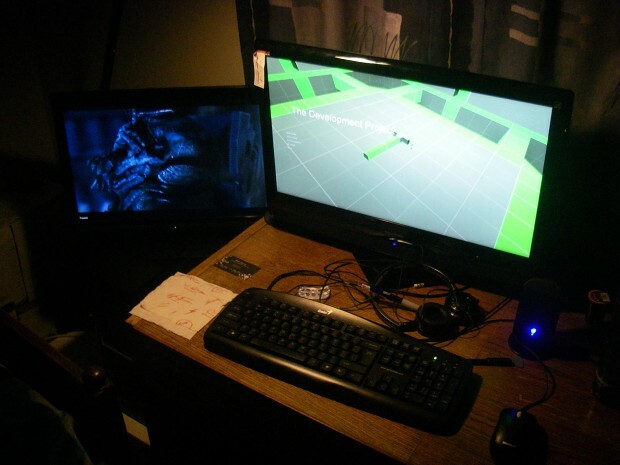 Which was where I learned other areas of the Game Development side from the other members off moddb that I were able to team up with such as the 'The Mortewood Plaza' developer Dec1234, the '1187' developer Joure, and Ferret that was a coder from 'Modular Combat' that both taught me things that today I would not know if it weren't for joining with them. While this group from 3 different mods all joined together and began associating with each other, I soon began to build up coding ideas for Hammer that would make a much more interactive mapping system for level designers that soon became an open source mod called 'Hammer Deluxe' that of its time got very popular until progress stopped due to most of the coding needing re-writing. 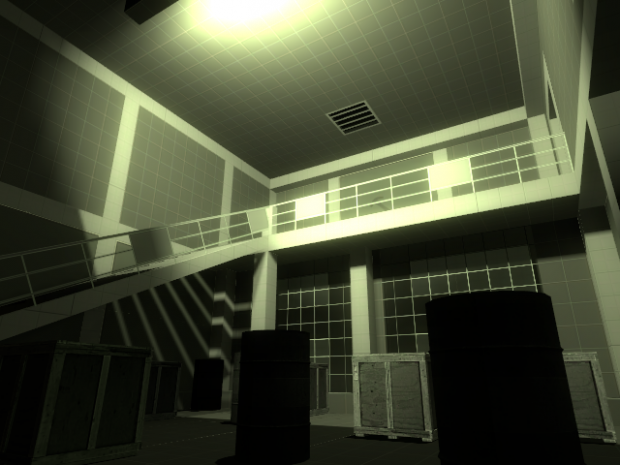 Although when I started getting into games, I spent well and truly 90% of my time focusing on Level Design. This was originally what I highly enjoyed at the time but didn't suit my interested 100% as in order to create interesting and original worlds you need to have a very good eye for detail and exploration; this required me to work on models to make environments more unique and interactive. Taking you back years and years ago, I managed to create a couple models using the old school yet still used program Milk Shape 3D where I tried modelling the Hound Eye from the original Half-Life. 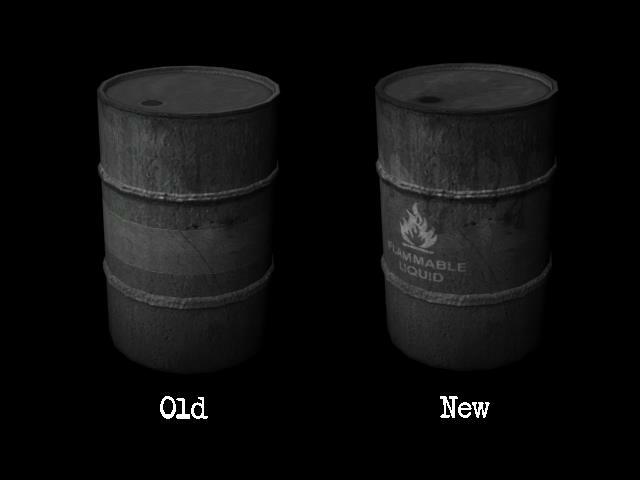 Sadly i no longer have access to a picture of my very first 3D model, I put up a picture of my latest creation for The Development project(TDP), nothing but a simple barrel with simple skin, but after learning how difficult it is to learn modelling, skinning, exporting AND coding it into Half-Life 2, I now have a greater appreciation for modellers work. This of course still wasnt enough for me to keep chugging through TDP, so I took to concept art as well trying to just see what i could create using a simple pen, paper, eraser and of course photoshop. 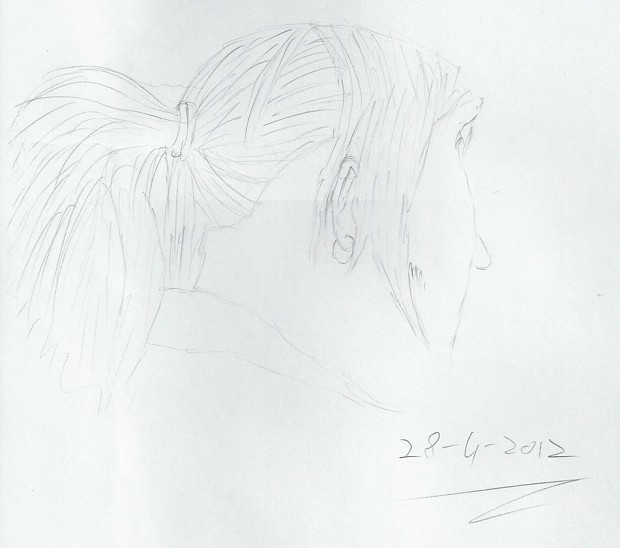 The sketch above was done in less than 30 minutes after a very long day at work. Although many facts have been left out and the future is still in the making, soon this will all come to use and I cant help but thank all those that helped me get this far and that I will still and always be a modder. Thanks to EVERYONE that has assisted me this far, I appreciate you all and will not forget you all. Playing around with the code for the fast zombie from half-life 2 i was able to make a more deadly enemy just by modifying a few small features.